Does your Sim spend their free time making hearty breakfasts, luscious lunches, and delightful dinners? Good news: it’s time for dessert! The Sims™ 4 Cool Kitchen Stuff is coming on August 11 and it’s perfect for all of your foodie Sims! The Sims™ 4 Cool Kitchen Stuff has everything you need to upgrade your Sim’s kitchen, with new, sleek appliances and furnishings meant to help give the room a modern flare. From stylish cabinets with frosted glass doors to new stainless steel appliances, the stuff pack is filled with awesome new items to totally reinvent your Sim’s kitchen. 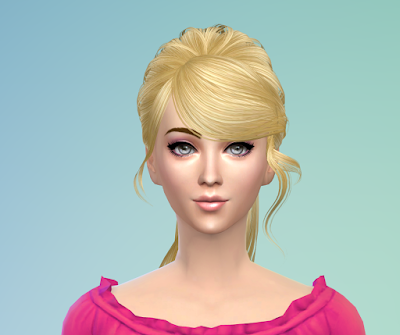 Your Sims will look good as they create new delicacies thanks to new hairstyles and apparel perfect for any chef-to-be. Oh, and before you start to worry about all the dirty dishes these new creations will make, you should know about something else. 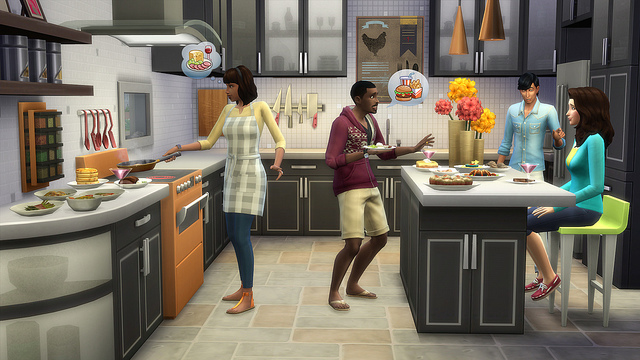 The week before The Sims™ 4 Cool Kitchen Stuff releases, a dishwasher will be added to The Sims 4 for free** in an Update for all players! The Sims™ 4 Cool Kitchen Stuff releases worldwide on August 11 – are your Sims ready to scream for ice cream?